The interplay of judgment and mercy in the aftermath of Adam and Eve’s fall into sin sets the tone not simply for our understanding of God but for our reading of all the salvation motif across the cannon. Salvation comes through judgment. Both are present, both are essential to the character of God, and yet they are more than just about God’s holiness and love. This interplay is about our salvation. 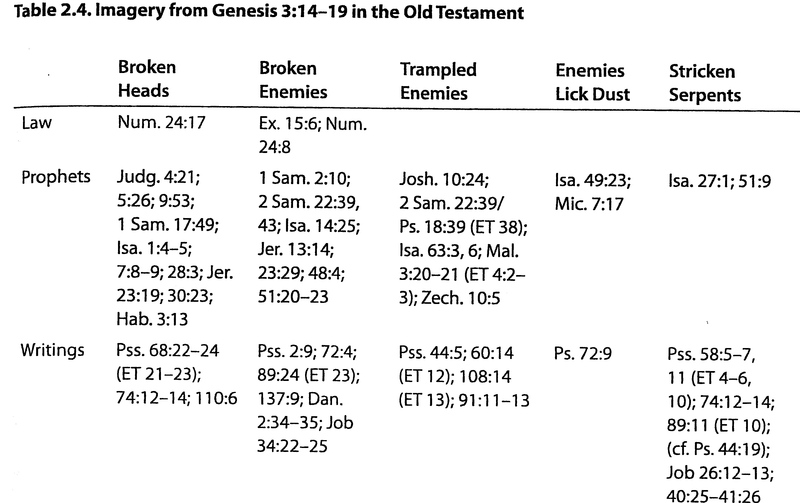 Judgment and mercy mix here in Genesis to create a paradigm for salvation reiterated across the Scriptures. Most of us know the account of the Fall. We know of Adam and Eve’s rejection of God and their eating of the forbidden fruit at the tempting of the serpent. God’s response reveals how seriously he takes their sin. He pronounces judgment on all involved. So, the man will labor for his livelihood, the woman will have pain in childbearing, and all men will return to the dust of the earth. Furthermore, they will be removed from the Garden and the intimate presence of the Lord. But only the serpent is completely condemned. He will crawl on his belly, lick the dust of the earth, and ultimately be crushed. While man and woman receive judgement, God does not completely condemn them. They receive mercy too. In this first gospel message we see the combination of judgment and mercy so clearly depicted. God judges sin and yet promises victory. The serpent’s head will be crushed. In each case the paradigm of the serpents crushed head is utilized to describe God’s salvation of His people. These are just some of the places where this theme is picked up. Jim Hamilton very helpfully cataloged the uses of this motif across the canon. Notice the broad range of references to this initial motif. The Law, the writings, the prophets all point to the original interplay between judgment and mercy. This judgment becomes a thematic descriptor of God’s saving work. Salvation comes through judgment, and even in judgment there is mercy. The Fall sets the stage for this interplay. God is both just and merciful. He displays such character in salvation across the redemptive story of the Scriptures. What started in the Garden carries all the way forward to the cross, where wrath and mercy meet.